Tashirat is an an Orphanage that teaches “fundamental tools to strengthen and balance oneself physically, emotionally, mentally and spiritually in order to raise your vibration and connect to your Inner Teacher.” and raises it’s children with principals of sustainability, daily yoga and meditation practice. 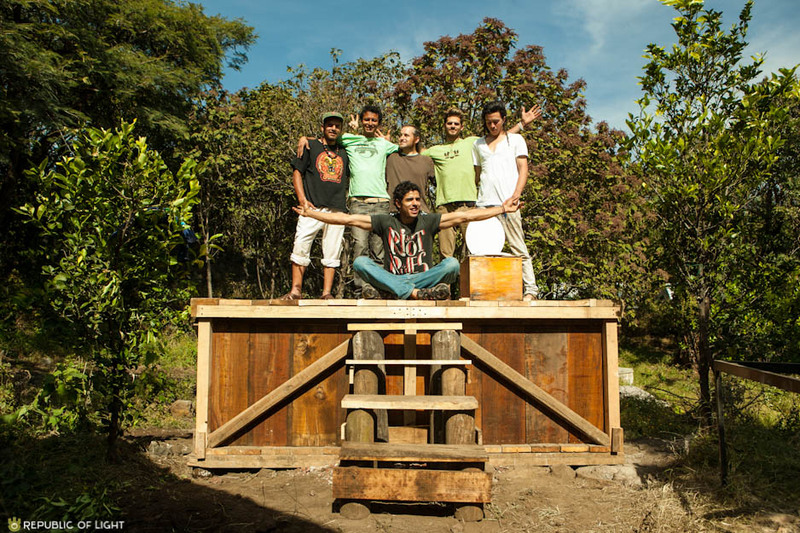 The Earth Odyssey was honored to be welcomed in to build a humanure composting toilet for the community, play and get to know the wonderful children. Delighted spirits they were, raised in the most enlightened way. All children should have the opportunity to grow up surrounded by spiritual teachers and connection to their food and the cycle of life. Adorable boy full of so much joy and love! We spent much time playing and working with him on the composting toilet. A ceremony to bless the land we were camping on for a week in Tepoztlán while we volunteered at Tashirat Orphanage. Our last farewell to all of the children of Tashirat Orphanage. It was touching to be of service to this community and provide them with a little more self-sufficiency! Tashirat is an incredible place to volunteer for work-exchange to bless the hearts of orphans and teach sustainability.